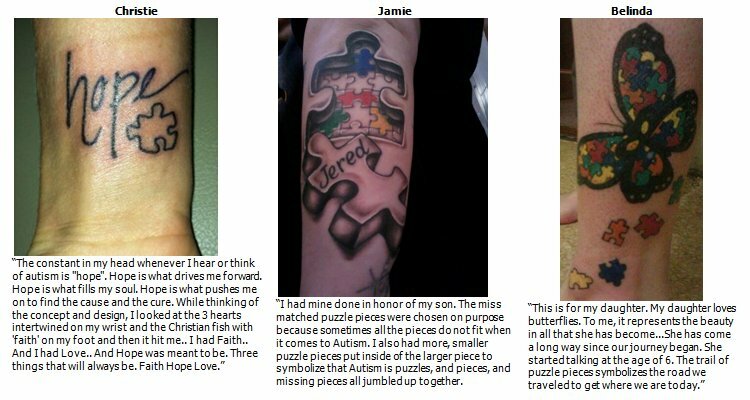 I decided to do a follow up “Part 2” and share more autism related tattoos after the amazing response I got for my original post. 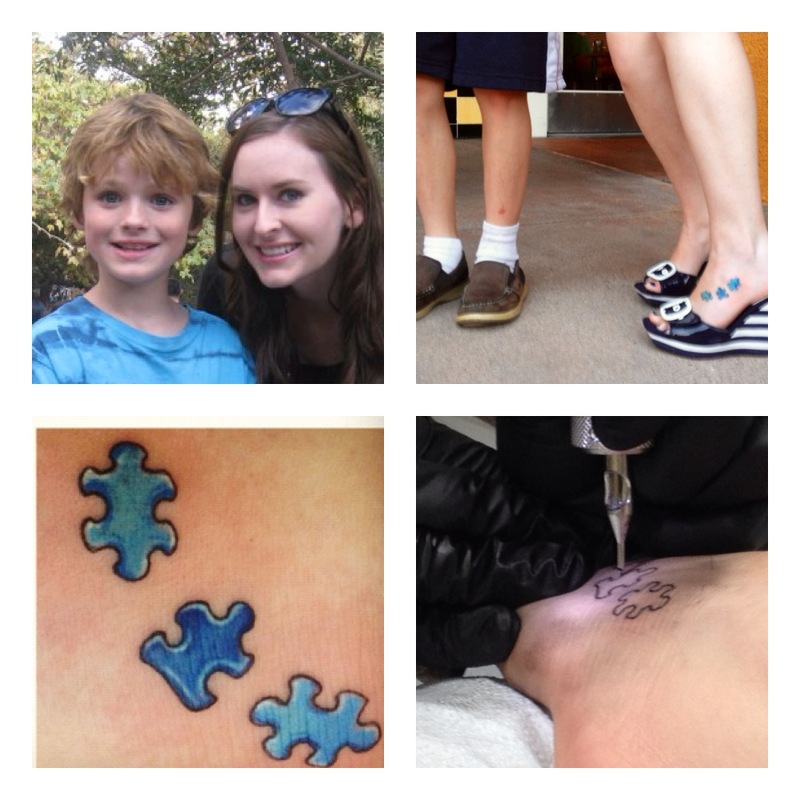 Once again, there was no shortage of family members and friends who had decorated their bodies with symbols of autism. 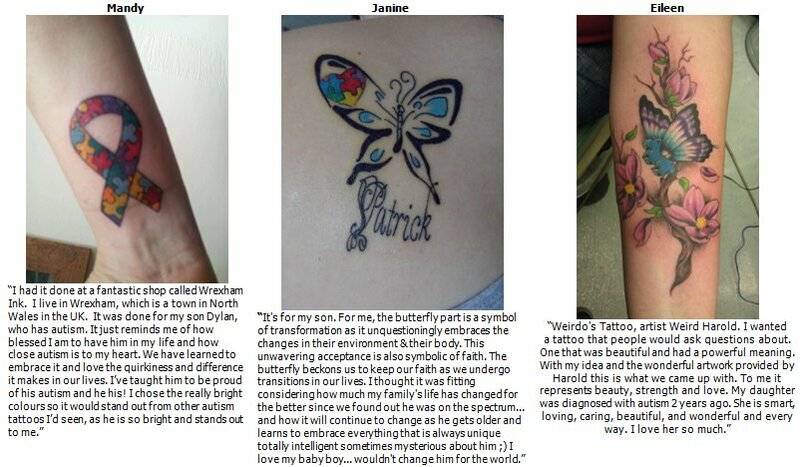 And interestingly, this round there was a strong butterfly theme! Whether to promote awareness, spark conversation, or to serve as inspiration, motivation and a reminder, people show their love by their tattoos. Here they are… click to enlarge.